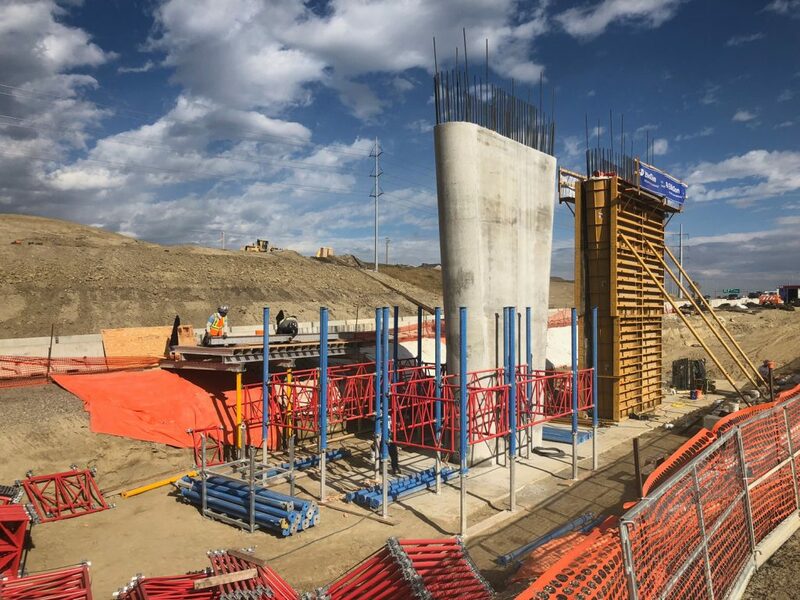 Calgary, Alberta — This past summer, as part of the expanding infrastructure in Calgary, EllisDon Civil teamed up with global leader in formwork EFCO to design and supply a system for the enormous tapered radius piers at the Deerfoot Trail/212 Ave. interchange roadworks and bridge project. 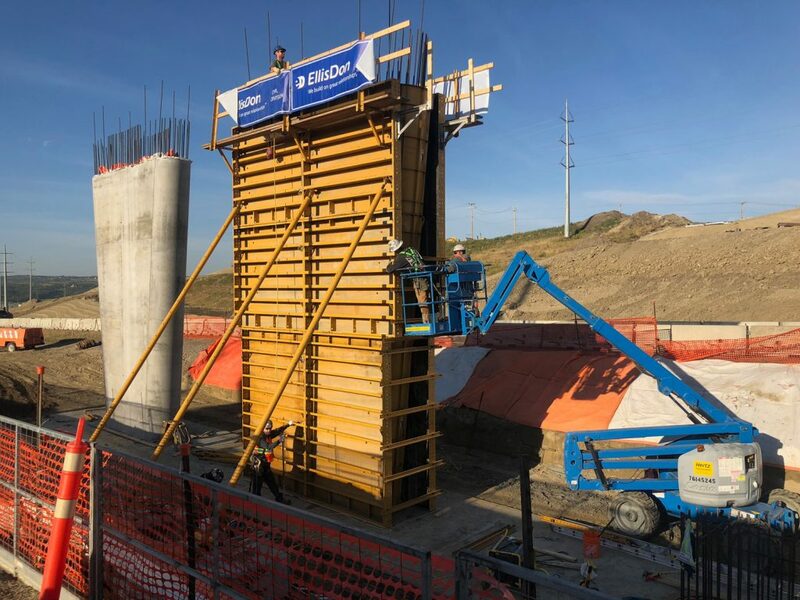 Like the majority of EFCO’s solutions, the entire design for the piers was engineered in-house with thorough EllisDon input and feedback on wind bracing, scaffold levels and tie placements. 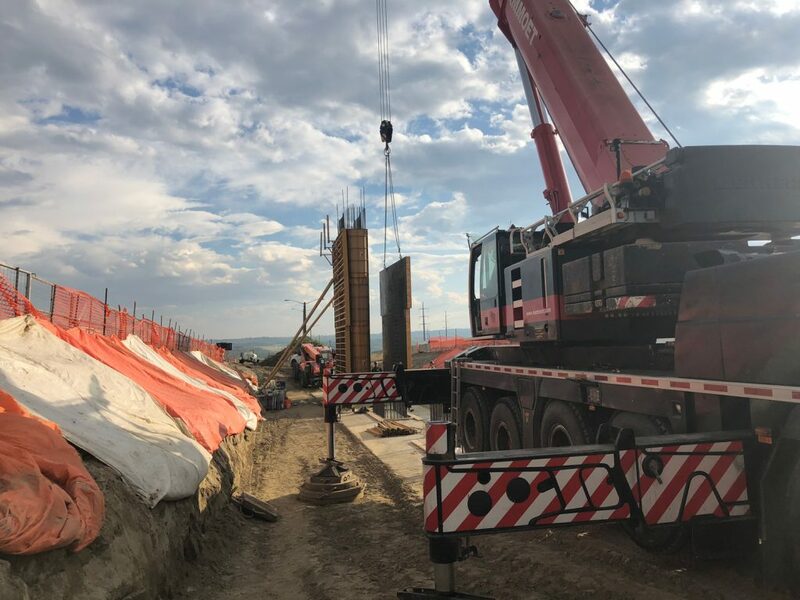 EllisDon then self-preformed the assembly, erection, place and finish and stripping of the pier formwork and are self-preforming all the cast in place concrete components of the bridge which is scheduled to be complete in Fall 2019. 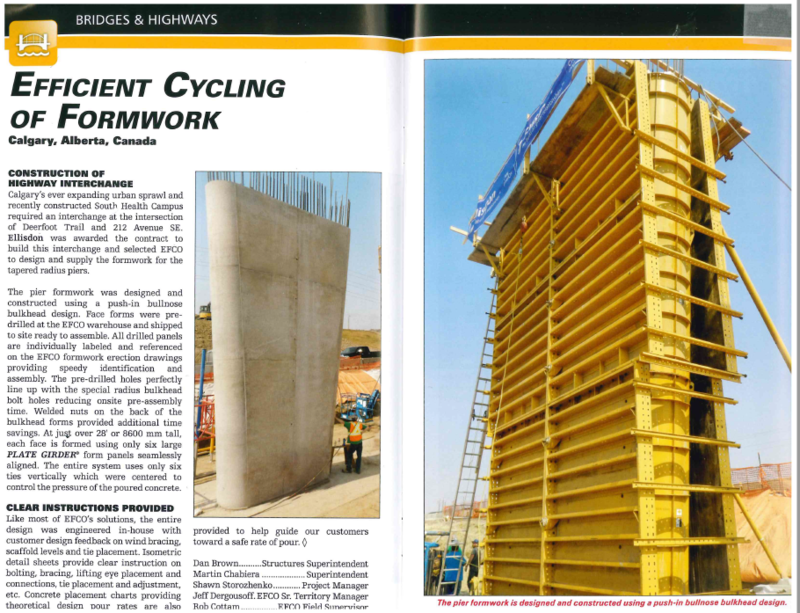 The formwork for the major sub structure elements was designed by EllisDon’s Construction Sciences division with the use of our own pre-engineered formwork. A great (on-going) feat, by a great team.